Here's a view from an inhabited moon around the gasgiant Vertilu. 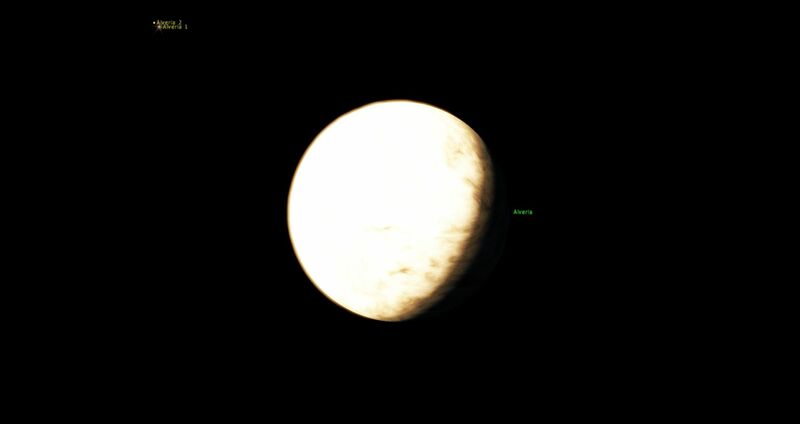 This inhabited moon is called Janus. 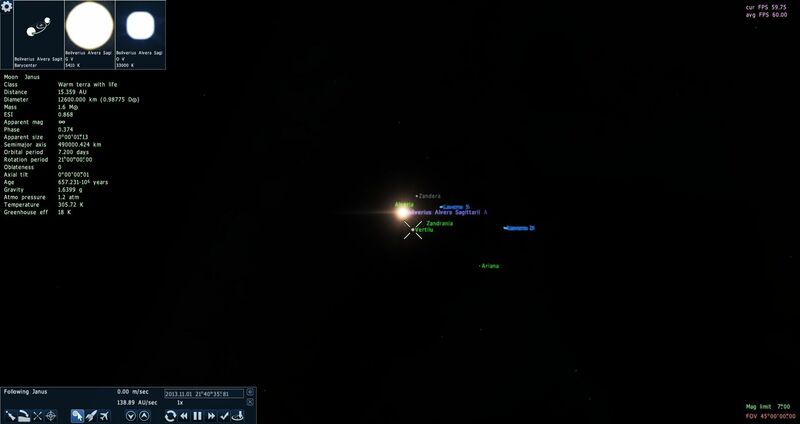 Also i have now added the binary star as you see in the distance in this image. Added a new object yesterday. It is the old homeworld to the Alverian civilization. The Alverian civilization is featured in my upcoming sci-fi story, and possibly become a movie. I will rate versions, so this will be the Alpha version. Beta version is coming next, then the actual one. This is that people can test it. Chris94, cool addon, would you mind me working on it a little bit? You sure you placed them in the right folder? This is the only file for planets. I checked this before i added it here. Okay, here it is. I noticed this was confusing, but download it from here: http://www.4shared.com/rar....e.html? Have you tried to search on one of the planets? How familiar are you with Space Engine? If this works for me, why does it not work with you? 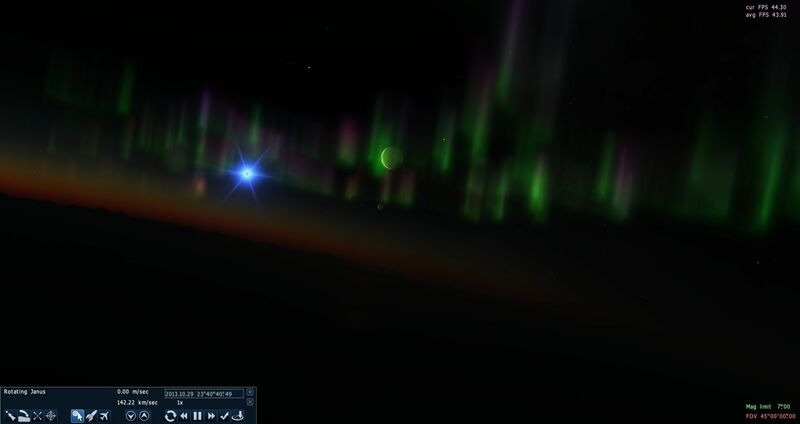 As I said, I installed all the provided catalog files correctly, but they don't contain any planets!! Have you checked the files you put in the RAR archive? Here's a new link: http://www.4shared.com/rar....e.html? Search for star: Boliverius Alvera Sagittarii A, not Boliverius Alvera Sagittarii F.
Anyone, upload an image of Boliverius Alvera Sagittarii A, not Boliverius Alvera Sagittarii F. Search after Boliverius Alvera Sagittarii A. There aren't planets orbiting all the stars in the addon. Most of the planets are orbiting Boliverius Alvera Sagittarii A. And, what kind of version of Space Engine are you using?